I receive PR updates from Novo Nordisk, and this one was released back in January, but I decided to save it until closer to the actual date of the event. As we are all aware, diabetes is usually an "invisible" disease, as many patients often appear healthy on the outside. This is particularly true for type 1 diabetes, since relatively few type 1 patients have any outwardly visible manifestations of their disease such as obesity, therefore the disease often struggles to get any media coverage, let alone positive news. 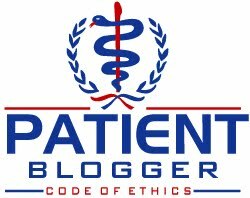 A few weeks ago, D-Blogger (and author of the book "Cheating Destiny") James S. Hirsch commented that perhaps a celebrity or politician who had the disease was needed to give diabetes a face and enable it to be personalized the way FDR did for polio. While he's right that could give diabetes some needed visibility, diabetes cannot afford to wait for a celebrity victim, as our healthcare system is not very well-equipped to manage chronic conditions and the incidence of both type 2 and type 1 (the growth in type 1 has accelerated over the past decade, even while this fact seems to elude the press as type 2 diabetes becomes epidemic) diabetes is growing very rapidly. A celebrity spokesperson could certainly give diabetes some needed recognition. Regardless, it looks like we have a celebrity spokesperson (for 2007 at least). 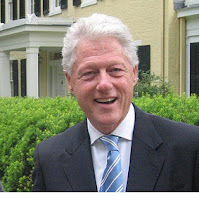 Former President Bill Clinton will be the keynote speaker at the Global Changing Diabetes Leadership Forum, taking place on March 13, 2007 in New York City hosted by Novo Nordisk and supported by the International Diabetes Federation. Clinton does not have diabetes himself, but his own health issues, including his fairly recent heart problems, were widely publicized. Regardless, this Forum is intended to provide a provocative dialogue on redefining healthcare focusing on the needs of people with diabetes, and will reportedly involve politicians, government officials, international organizations, patient organizations, healthcare professionals and media from more than 18 different countries. "Diabetes will constitute the most significant public health challenge of the 21st century if no action is taken now. It is already causing as many deaths as HIV/AIDS. We need to explore practical ways of redefining healthcare, by focusing on the needs of people with diabetes," according to Lars Rebien Sørensen, President and CEO of Novo Nordisk A/S, the world's largest insulin manufacturer. In addition to the news on Bill Clinton's address, today, Novo Nordisk reported that the company had established a research foundation in China with the Chinese Academy of Sciences. 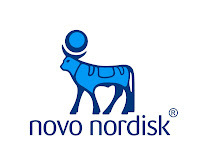 The reported objective of the Novo Nordisk–Chinese Academy of Science Research Foundation is to fund or co-fund activities of common interest within the fields of diabetes and biopharmaceuticals, including related disciplines and technologies such as protein chemistry, immunology, inflammation, toxicology, oncology, endocrinology and drug delivery. Sorry, but this is a news release I am not getting overly excited about. I suspect the reason has more to do with law of large numbers. Even a miniscule portion of 1 billion people is significant. But if that's true, why did Novo Nordisk choose China over India? After all, India has almost as many people, and the incidence of type 1 diabetes (the market segment that is responsible for a majority of Novo Nordisk's revenues) is a fair amount higher in India. There, the answer probably has more to do with the fact that India already has a vibrant biopharmaceutical industry, and has its own home-grown competitors making insulin, including Wockhardt, Biocon, and potentially Zenotech Laboratories Ltd. or Shreya Life Sciences Pvt. Ltd.
Novo Nordisk is not the big hero they'd like us all to think they are based on their most recent press release. They are taking the path of least resistance, but I'm not convinced the newest partnership in China will yield much of anything for patients with type 1 diabetes. Regardless, keep your eyes and ears open for news on Bill Clinton's diabetes keynote address which is scheduled for next Monday!